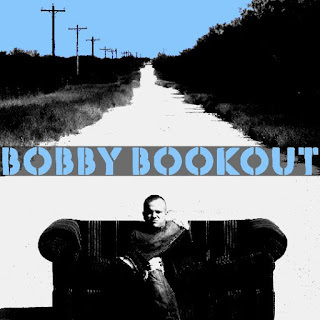 Bobby Bookout’s unconventional entry into the Austin music scene (he served in the military, used his GI Bill to get a degree in music and released his debut self-titled album, to much acclaim, in 2010) has been a road few have taken, but few have the smooth soul-infused voice and gift for the written word that he possesses. It’s been seven years since we’ve heard from this Jason Mraz-meets-Rob Thomasesque musician on a record. The release date of his second album, titled B (after his initials as well as the second letter of the alphabet) is close, but it hasn’t been set in stone just yet. We thought it was time to check in and see how Bookout is fairing and encourage him to take that final step to let the world hear his songs again. Sean Claes: In 2011, “Broken Promises,” a song off your debut album, won the R&B Category of the 10th Annual Independent Music Awards. Judges included Ozzy Osbourne, Seal and Tom Waits. How did it feel to know such mega-stars listened to your track AND THEN chose it as the top song? Bobby Bookout: I was honored and blown away to know that this panel of judges even gave my music a listen and was shocked when they nominated it as a top song. The win I received was the popular vote. Once you were nominated into that top five list, you were given a chance to compete for the popular vote. Supposedly, more than 14,000 people voted. My people killed it won it for me! Claes: Following you over the years, it seems music is a major passion of yours, but the recording process seems to be a bit elusive. It took about 3 years to record & release your debut album and now you’ve been working on the follow-up for the last seven. How do you keep that fire lit? Bookout: Man, this is a rabbit hole of a question that’ll have me getting philosophical on you so I’ll try to spare you the long long answer. This is going to sound super cheesy, but in response to your metaphor, keeping the fire lit isn’t the problem at all… It’s keeping the fire contained so it doesn’t burn everything else down that gets tricky. It’s a constant balancing act. I was single when I wrote and recorded my first record. My biggest struggle then was constantly being broke. But aside from going to work (shout out to Texas Roadhouse in South Austin!) my time was mine. I’d go to work and then go home and write or head to the studio. When Kathryn and I got married and started making babies, everything changed. I was still financially broke, but time suddenly became the thing I had the least of. My desire to make music was as strong as ever but my efforts to juggle that and life were frustrating and exhausting. I tried to consider… (emphasis on “tried”… I couldn’t ever get all the way to “consider”) just quitting music altogether, but having that thought even for a second immediately made me nauseous. It’s not connected to a switch. Being passionate about a thing, regardless of what that thing is, isn’t something you can just turn off. It’s been pushed to the back burner a lot, but 7 years later, I’ve finally -sort of- got my feet under me and have figured out how to make it work. Claes: Something I completely understand… when life becomes more important that a project (I’ve been trying to finish 52 Austin Musician interviews since 2012). What has been going on in your life since the last release? Bookout: Well, I proposed to Kathryn in front of all of our friends and family at my CD release party for the debut at Dirty Dog on June 13th, 2010. We got married a year later. We got pregnant with Braden, my oldest son, on February 15th, 2012. He was born 9 months later (to the day…) With my night schedule being what it was, I knew I’d never see him once he started going to school with my wife (she was a preschool teacher at the time), so I started keeping my eye open for a day gig. Two weeks later, I got a call from Sarah Romer, who would ultimately become my boss (and friend) at PayPal… I was working days and finally making decent money. We got pregnant with #2 in November. We decided we needed a bigger house for two dogs, two kids, and my gear so we signed a contract to build a new home out in Manor (NE Austin) where it was still affordable. Then, in February of 2015, almost my entire team and I were laid off. Meanwhile, my sister-in-law, Jessica McCoy (Kennemer, at the time), was working on the marketing team for an extremely fast growing Austin based start-up called AffiniPay under a beast of a CEO named, Amy Porter. I met with Amy. She decided to take a chance on me and graciously offered me a sales position. Brody, my second son, was born on August 10th, 2015. We moved into our new house a month later. For years we’d talked about going into business for ourselves in some capacity. We started kicking around the idea of opening up our own preschool in Manor where there seemed to be a pretty high demand. After a year’s worth of some pretty intense stress and a TON of work, we finally opened up The Busy Bee Preschool (www.busybeemanor.com) this last Spring. And I’m finally, just now, cutting vocals on this record! Claes: So, back to the music. What caught my ear when I heard you the first time was that smooth timeless equal parts rock and R&B voice that seemed to flow directly from your soul. How did you develop your voice? Bookout: I grew up singing in the church. We were always in the choir. My Grandpa was a Methodist pastor and over the course of my childhood, was at a handful of churches throughout the Southwest Texas Methodist Conference. Those old hymns were a big part of my musical development and I feel really fortunate to have been exposed to them as much as I was growing up. Beyond that, my influence came from a pretty awesome variety of genres. There’s a lot of soul in country music. George Strait and Merle Haggard were kings. Then at a very impressionable age for me, Garth Brooks blew up. I knew every song on his first seven records. My biggest childhood influence of all though, was Elvis Presley. My dad introduced me to him at a really early age and I was hooked. He did it all and he did it all really well. I also vividly remember the first time I got to see Boys II Men perform live on TV. I was completely blown away and contemporary R&B became a thing for me right there in that moment. I was also constantly surrounded by Latin music, specifically Tejano and Norteno. Their music couldn’t be more different, but Mystikal and Garth Brooks could both really tell a story in a song. Claes: You’d mentioned that the debut album was centered around heartache and loss, and since the release you’ve gotten married and started a family. How has that influenced your songwriting? Bookout: It actually made it a little harder. It’s so easy to bleed words when you’re hurt and alone. It’s hard to bleed when you have a toddler sitting in your lap with a huge smile on his face listening to his daddy make music. I had to evolve a little bit. Claes: Tell me about some of the tracks on the upcoming album. Bookout: The first song I wrote for this new record was a song called, “You.” It’s the first song I ever wrote about Kathryn. I managed to write what was ultimately a happy song but still sounded sad and dark because it focused on the black hole I’d been in before finding her. Most of the songs on my new record are celebratory in one way or another though. Some of them are heavier and some are light and fun, but overall, they’re a lot more positive. Claes:Musically, you’ve played out a few times in the last few years, One-2-One Bar, the 4th of July festival in Carrizo Springs, Moontower Saloon, Rattle Inn. Where can we see you next? Bookout: I had to stop booking this year. I LOVE playing live but the live show itself is the easiest and smallest part of the gig. There’s a lot that goes into that show and at this stage in the game, I have to wear every hat. Booking, hiring, promoting, rehearsing, performing. It’s all absolutely worth it, but not when it comes down to doing that or staying home and finally finishing this record you’ve been working on for the last 7 years. 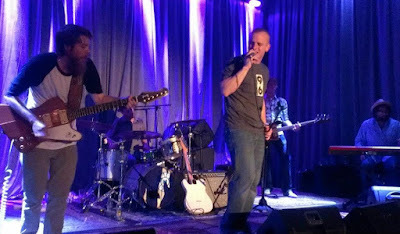 The next show will be the CD release party sometime this fall and it will likely be down south at Moontower if they’ll still have me. Claes: Where are you recording B? Bookout: I split the recording of both of my records up between two studios… Studio 1916 down in Kyle, and The Amusement Park Studio in Lubbock. Both are killer studios owned and operated by great friends of mine. Blake Atwell owns Studio 1916 and plays guitar for me quite a bit. Paul Miller is the engineer at the studio. He actually helped me rearrange and also played on a cover we’re putting on the record, The Cure’s “Just Like Heaven”. Scott Faris is a mega talented producer and guitar player and owns The Amusement Park. He was one of my instructors when I attended South Plains College and later became a good friend. He’s been on board with me from day one. Claes:Who are some of the musicians you’re working with on the new album? Bookout: Chris Moore is my permanent drummer so he played drums on the entire record. Chris Maresh played most of the bass on the record but Matt Slagle came in and played some too. Derek Morris and Amy Faris played keys. Kevin Flatt laid down some amazing horn parts. Jose Galeano, from Grupo Fantasma, killed the percussion on a few songs. Blake Atwell, Cale Richardson, and Keenan LeVick, three of the best guitar players you’ve ever heard, played guitar on almost everything. Carter Arrington (guitar) and Dane Farnsworth (keys) are two guys I'd LOVE to make more music with. They both came in and played on a song called, “Time”. Scott Faris who’s co-producing and mixing the record will have probably ended up playing guitar on something also. Paul Miller played classical guitar, keys, and vibes on “Just Like Heaven”. Kasi Painter, Ange Kogutz, and Anna Hillburn came in and put down all of the female background vocals for me. I hope I didn’t leave anyone out. I mean, it’s been 7 years of this so there’s a strong possibility. Claes: What are your thoughts of how the Austin music scene has changed over the last decade? Bookout: I was fortunate to come into the live scene under the wing of MC Overlord, (Donnell Robinson), which meant being introduced to some really good people from the get go. I found my spots in Austin pretty quick and didn’t venture far. Ben (who now owns and runs Come And Take It Live) and crew, always took care of me at Dirty Dog. I love Gregg and Destinee at One-2-One. Earlier on, I always enjoyed playing at Lucky Lounge and Beso Cantina. Saxon was great. Momos was was of the first bars I ever played at downtown. Moontower Saloon is one of my favorite newer places to play. From my limited perspective, it’s a little sad and unfortunate that the people and venues that actually care about the music, at least as much as… if not more than the bar sales, seem to struggle the most. Austin’s changed a lot since I got here in 2007 but I know there are folks that would say Austin already wasn’t Austin anymore when I got here. The world’s an ever-changing place. Austin’s not any different. There’s still so much talent here and new acts popping up everyday. In that regard, I’d say the music scene’s doing just fine. And I still love this place. For those who are interested in checking out some of Bookout’s new material, he will be releasing a second music video for “Broken Promises” in the very near future. Also, as he approaches finalizing B he will be releasing a couple live videos filmed at Studio 1916. Check out http://www.bobbybookout.com for updates.